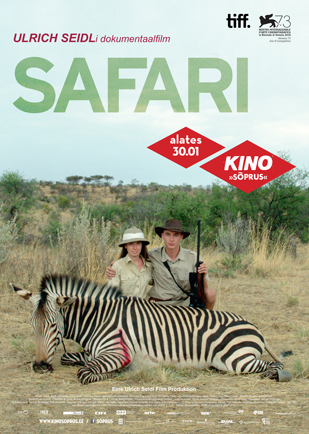 Austrian provocateur Ulrich Seidl (Dog Days) returns to Africa for this raw, grimly humourous portrait of European tourists hunting animals for sport. Ulrich Seidl's filmography has been characterized by nonconformity and controversial topics, and his latest film is no different. 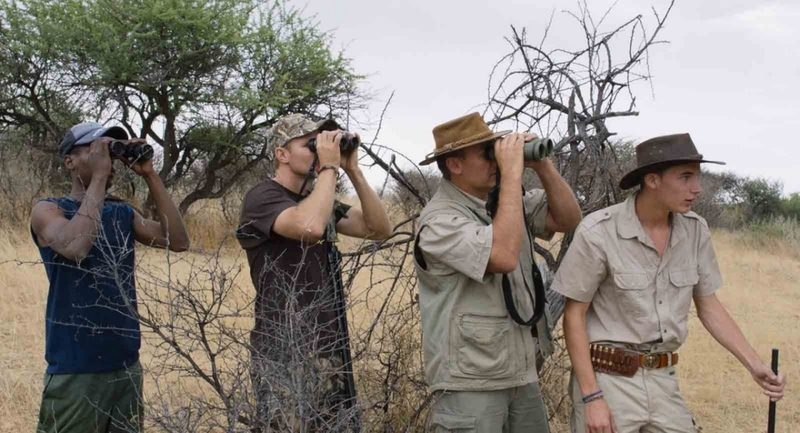 With the documentary Safari, he turns his camera to the controversial topic of trophy hunting. Following German and Austrian tourists through South Africa and Namibia as they stalk and hunt magnificent animals, Seidl brings us closer to the darkest depths of humanity than he ever has before. Mixing Seidl's familiar portrait-interviews with on-the-ground animal tracking, Safari offers us privileged access to the rituals his trophy-hunter subjects find so empowering. Whether observing a middleaged couple perched up high in a wooden outpost or an entire family traversing the land on foot, Seidl provides us with access points into the thrill-seeking and power-hungry tourism of the "sport." Guided by an official hunter and a local hunting caddy, his protagonists appear as nothing more than opportunist marksmen; Seidl strips their proverbial chase of any vestiges of romanticism, showing it in all its agonizing monotony. As the animals' bodies pile up under the blistering sun, we are brought closer to the hunters' psychology of privileged rationality, and become complicit as we see life literally extinguished on screen. It is only by facing the horrors of our world that one can claim to understand them, and Seidl gives his subjects a respectful distance that allows them to express their zeal unfiltered. Behind Safari's beautiful compositional tableaux and darkly humorous moments lies Seidl's core interest: an anthropological study of human nature. One moment his characters indict themselves, while the next we become aware of our own preconceptions. Concerned with posing questions rather than offering answers, Safari is a powerful film that brings us face to face with human nature's instinctive drives, and with what lies beneath them.